Past Friday Team Blue arrived in Treviso, a mid-sized Veneto city, that gifted the world with three essential goods: Tiramisu, Raddicchio and Prosecco. 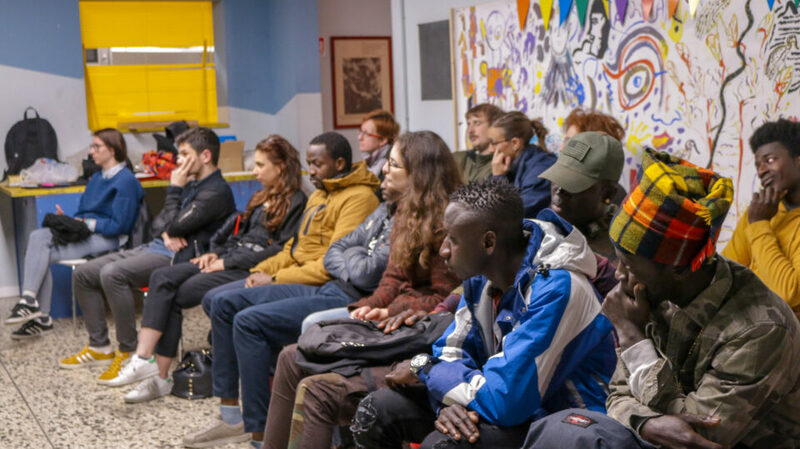 The day was quite packed as we started with a tour through the cities narrow cobbled streets and canals and had a workshop on migration in the youth center “Binario 1”. This topic is close to our hearts as Rawand, the videographer of the team, migrated to Lebanon to study film making as a Libyan, and I, Sandra, the blogger/interviewer of the team, have parents that migrated from Ethiopia to Germany/the DDR where I was born. 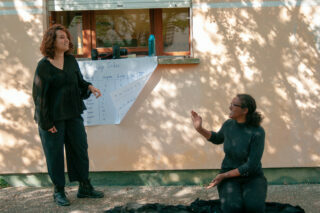 More than half of our participants in Treviso were migrants, some of them refugees from Gambia and Nigeria. When we prepared the workshop in advance, we were cautious for two reasons: a) it’s a topic that polarizes, especially in Italy b) we didn’t want to fall into the trap of talking *about* migrants when there is the opportunity to talk with them. Speaking from my experience in Germany, this is what happens constantly: talks, newspapers, events etc. address topics around migration without ever highlighting reality of migrants or using their opportunities to let them express themselves. And when important scientific research such as the Bertelmanns institute’s– Germany needing ca. 260.000 migrants per year until 2060 to keep and improve its economical position – barely plays a role in public and political discourses, there is not point of talking about policies and treaties. There moreover is a need to talk about real life social situations, experiences and generally the way we talk. Starting from that realization, we aimed to take the participants individual relationship with the topic “migration, identity and narratives” as the focus of the workshop. As EoT ambassadors we tried to historically trace back Europe’s relationship with migration and connect it to the future of Europe. 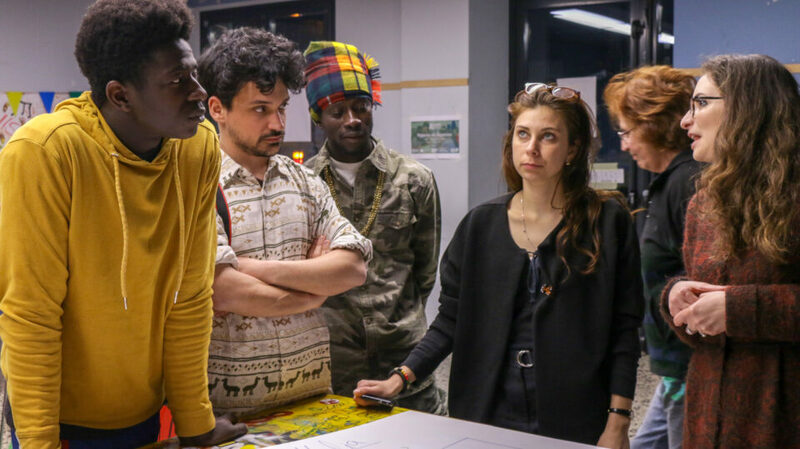 The aimed outcome was to develop concrete ideas to have proper conversations about migration before the European Parliament elections and combat hateful narratives. In an interview Tommaso, an Italian participant, expressed his apprehension that the development “populist wave” it hasn’t reached its highest point yet. Fearful he mentioned that in the future we Europeans would be more challenged and divided. The 26-year-old musician that is also known under the alias of Feydan, works mostly with migrants, teaching Italian and co-managing an international choir that sings different traditional songs. Most of his engagement takes place at Binario 1 which he describes as a necessity and one of a kind in Treviso. It’s a place with a simple purpose: bringing people from different demographics together to share realities while being non-partisan. Binario 1 does that by hosting a diversity of events so that e.g. visitors that came just for an exhibition get into contact with refugees or homeless people. You’ll find elderly people teaching Italian to refugees, kids, political debates but also techno parties which keeps the diversity of people flowing. Binario 1 just does it and people come and share their experience online and most importantly in real life. 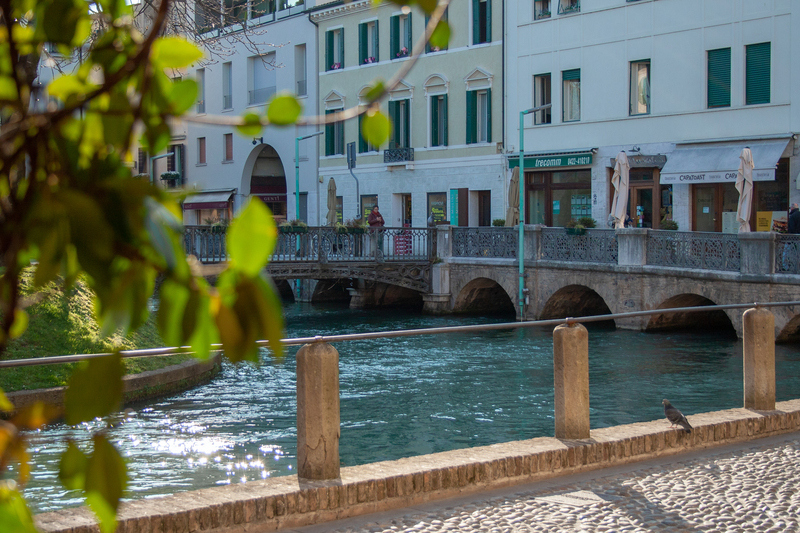 Tommaso highlights that Treviso is not a city with a strong, social movements, so bringing people together into one space is a crucial step into creating awareness for each other realities. He calls it a basic investment into people in a small, central and well taken care of space. When we focus back on the content of the workshop, changing the narrative on migration, he addresses that migrants are not seen as subjects but rather as objects that are talked about. The police, lawyers or volunteers have internalized the idea that they can’t speak for themselves. There would need to be a social class of migrants that speaks for them or at least opens doors for conversations. If there is no access to education for migrants, they will continuously be represented by people that know how things work in Italy – Italians making migrants the object of the discourse again. To him it’s about the style of communication and avoiding to be paternalistic. Therefore we’d need to include migrants into all political contexts and normalize that. For his organization’s bi-weekly assembly there was never a migrant-quota or anything but there was encouragement to get involved. Eventually migrants that were genuinely interested became part of it which led to important and difficult conversations and self-questioning about intentions. Tommaso questions everything and questions what it takes to be passionate about core European values such as human rights and defend them in any case. Currently he doesn’t really see that in the European Community. He believes that it takes the European community to thoroughly question it’s interests to create a reality in which individuals and feel morally obligated to meet Human Rights for everyone and not damage the process. And this goes for every community, from Europe to Treviso to every group that comes together for a cause.